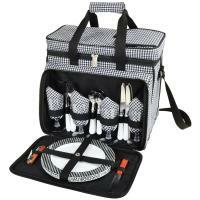 Trying to find the perfect gift for the wedding couple, your parent's anniversary or a friend’s birthday? 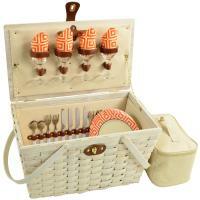 Consider a picnic basket from Picnic World. 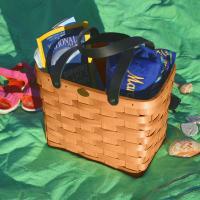 We have several different colors, shapes and sizes of picnic baskets that make wonderful gifts for your family and friends. 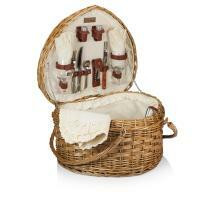 Our baskets come equipped with the basics to have a wonderful picnic meal. 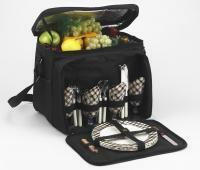 Depending on the size of the basket, you will find plates, glasses, napkins, flatware and other items inside -- a complete picnic basket and accessory set. 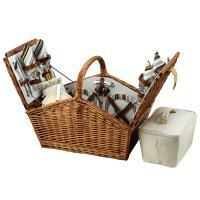 All items are fastened securely inside the basket by straps and holders so nothing gets jumbled or broken inside. 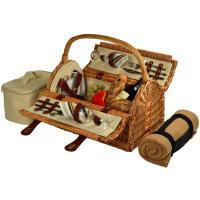 You can also select an empty basket and fill it with anything the gift recipient would enjoy for their special picnic meal. 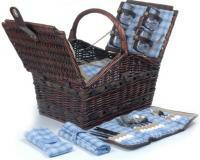 Each basket comes with a cotton lining that is easy to wipe clean in case of spills. 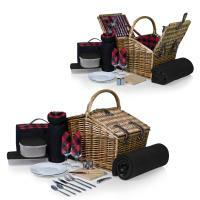 With picnic baskets for two to four people, you can pick out the right size basket for couples or families to enjoy. 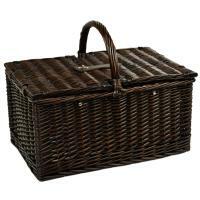 Select from the numerous styles -- we have traditional baskets, round baskets, wine barrel-shaped baskets, suitcase-shaped baskets, vintage baskets, shoulder baskets and baskets that can be carried like a backpack. 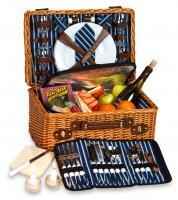 If you are stumped on the type of gift to give someone, or are afraid of giving them something they already have, pick up a picnic basket from Picnic World. It is a unique gift that they had probably never considered but will be thankful to have and can enjoy the basket for years. 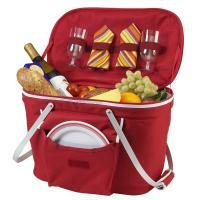 With the variety and great prices offered at Picnic World, you can buy the perfect picnic basket that is right for your budget and for the outdoor meals that the gift recipient will carry inside. 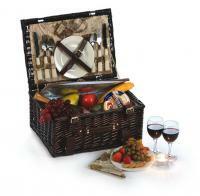 You just might buy a second one as a gift to yourself once you see the exceptional quality of the picnic baskets we offer. 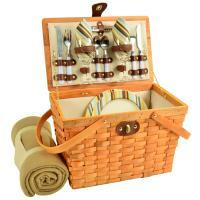 So when a special occasion such as a wedding, anniversary or birthday is marked on the calendar and you haven't picked up a gift yet, come to Picnic World. 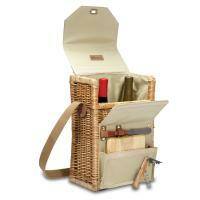 Buy the perfect picnic basket gift that people will enjoy when they head out to the great outdoors. 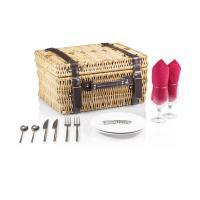 I give this service for 4" picnic basket for wedding gifts. Have done so many times and am so satisfied with the gift!! Proud to give this basket!! 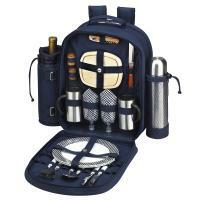 I am pleased with my picnic cooler but feel it is overpriced for quality. We like the size and the convenience of the layout of the refrigerator part. 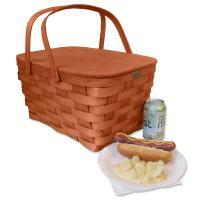 The color is classy and everything is convenient to take on an outing to a lawn concert or whatever. A good buy.